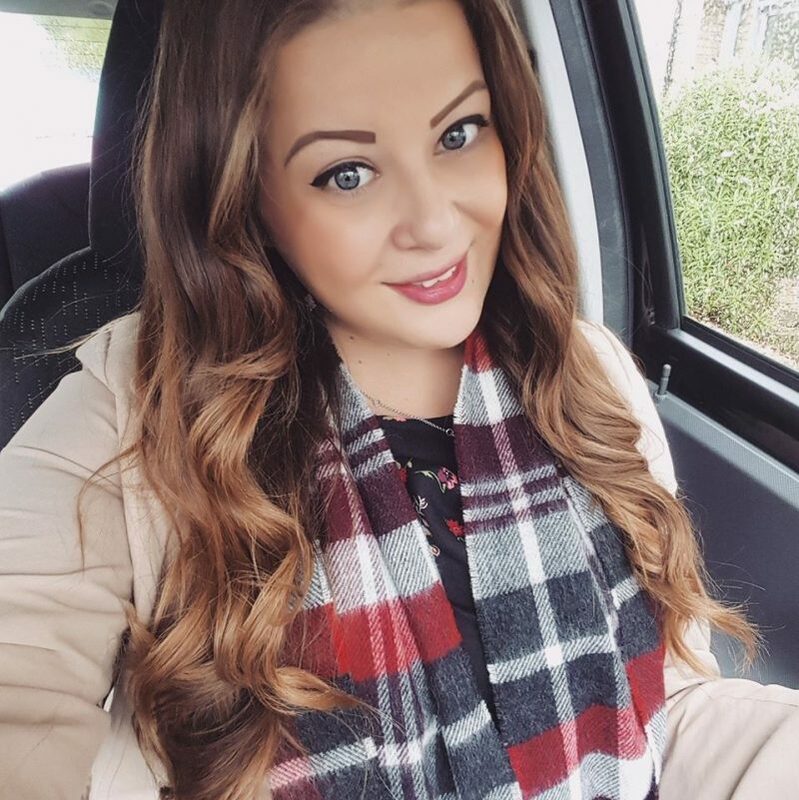 At the beginning of last year I did a blog post on my travel plans for 2018, so I thought I’d do something similar for 2019! I’ve already managed to get a few little trips booked in for this year which I’m very excited about, but I’m also starting to think about a bigger holiday for 2020. I’m trying to save up as much money as possible in 2019 as I plan to sell the flat and buy a ‘proper house’, so hopefully then next year I can go all out on a big holiday! Here are my plans so far for 2019 and also my wishlist for 2020. Can you tell I’m a sun seeker?! Last year we decided we wanted to experience the Caribbean so went on holiday to Jamaica! But this year we’re planning on staying a little closer to home so have booked a week in the small Greek island of Kos! We went to Rhodes in 2017 and absolutely loved it so we wanted something similar again this year. We like to visit places where you can go and freely explore and easily use public transport without having to book an excursion and go on a guided tour (something you couldn’t do in Jamaica!). Kos looks perfect! 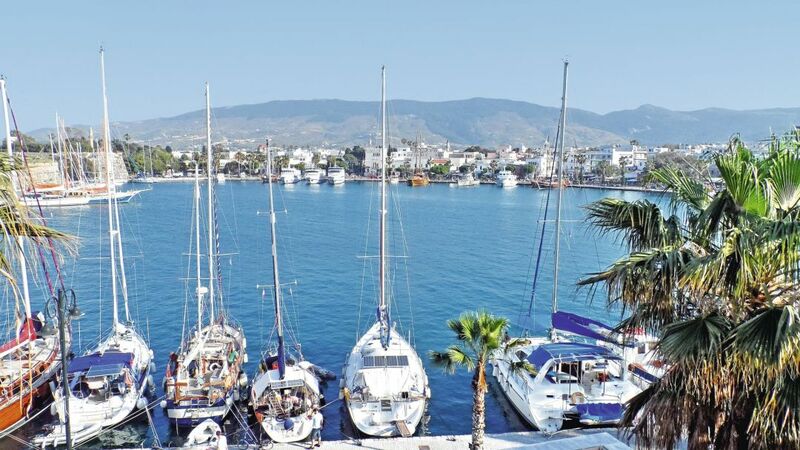 It has the capital city Kos Town where you can visit the harbour, see the heritage sights and explore the old backstreets, but Kos also has the lively town of Kardamena which is where you can find all the nightlife! There’s also miles of golden sandy beaches, whitewashed houses, natural thermal hot springs, and beautiful sunsets. I also fancy going doing the three island boat tour where you get to visit tiny islands, soak up the sunshine, and maybe even spot some wild dolphins! I’m so excited! So far for 2019 I’ve also booked a short break in good old Spain! My parents have a house over there near Alicante so I’m going to pop over for 5 days in August when the sun should be absolutely blazing! I haven’t visited Spain for about 8 years which was when I decided it was so uncool to go on holiday with my parents. But I’ll be taking my 15 year old niece along with me so that neither of us get bored and I’ll have a little companion to go to the beach/shopping with! I know Spain isn’t the most exotic holiday destination but you really can’t beat it in terms of good weather, sandy beaches, and cheap food! It’s the perfect place for a short summers break and I’m looking forward to baking myself in the sun, getting a tan, and enjoying the heat. Alongside Benidorm (which isn’t actually as bad as everyone makes out!) 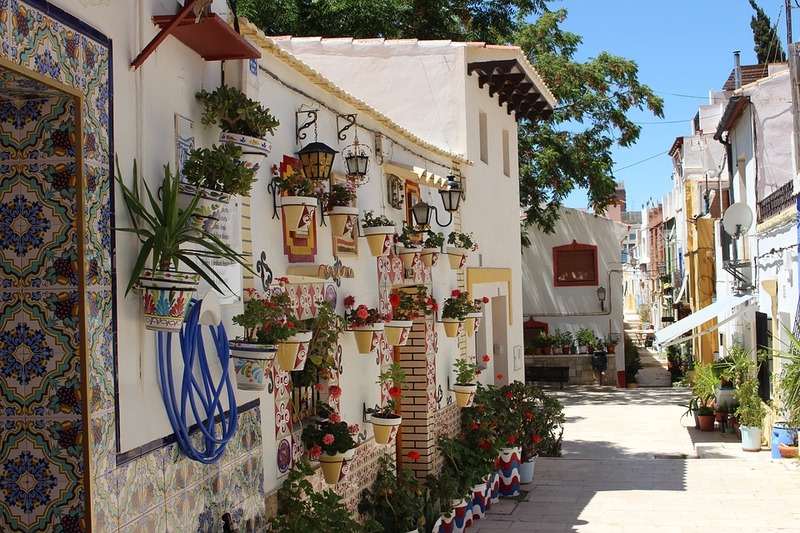 there’s also lots of gorgeous little traditional towns near Alicante such as Villajoyosa which is a gorgeous coastal town where the streets lined with pretty colourful houses. Gavin and I went to Mexico for our first holiday together in 2016 and I absolutely loved it! Unfortunately though I caught a bug on the plane on the way out there so I spent most of the week full of the flu which meant having to go to bed early and not eating much. I still loved it but I feel like I didn’t get to make the most of it so I’d love to visit again so I can take better advantage of the all inclusive cocktails! We stayed in Playa Del Carmen on the Riviera Maya which is a stunning location. 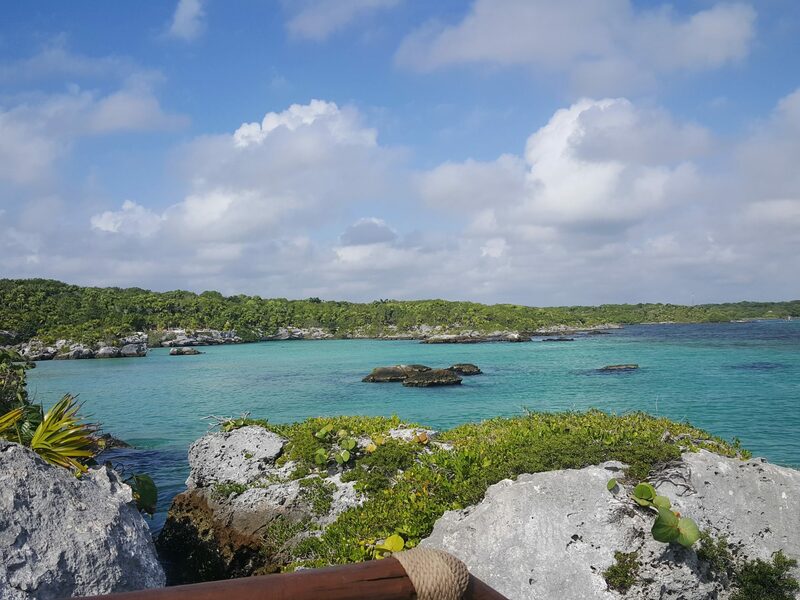 The coastline is packed with tropical white-sand beaches, turquoise waters, reef diving spots, eco parks, and Mayan ruins. And then there’s all the yummy Mexican food! I found that it’s pretty good value to visit Mexico too, as a package holiday costs almost the same as it would if you were going on a short haul trip, plus the excursions are really reasonably priced too. There are four huge eco parks in the Riviera which are a true paradise for nature lovers. I visited Xel-Ha when I was in Mexico and it was so amazing! You can swim and snorkel among tropical fish, discover the jungle trails, go on the natural lazy river, swim in the caves, and even do the zip wire, rope swings, and cliff jumping if you’re feeling brave! Plus, it’s an all inclusive attraction so all food and drink is included for the full day too! Fingers crossed I can get saving so I can book another trip to Mexico soon! Gavin has already been to Las Vegas a few times but I’ve never been! Vegas is famed for its vibrant nightlife, 24-hour casinos and entertainment shows. Usually this kind of thing wouldn’t float my boat, but there’s something about Vegas that just makes me want to visit! I love the look of the themed hotels (Caesar’s Palace looks amazing! 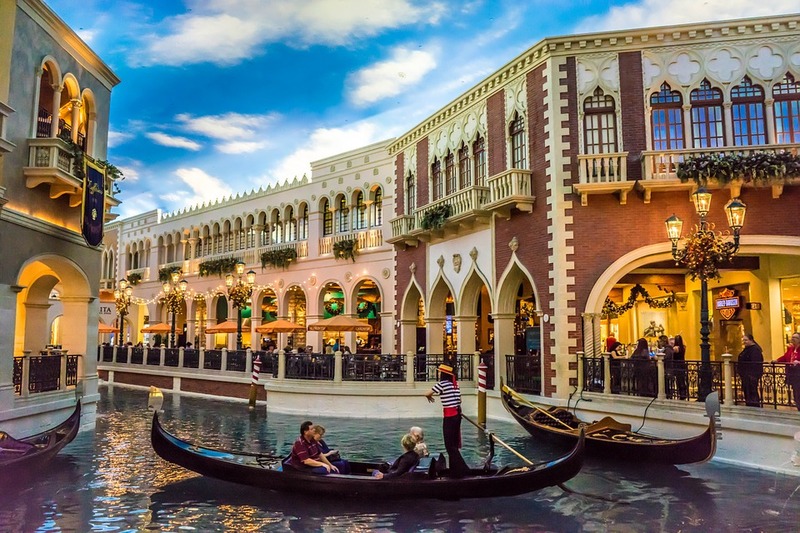 ), fancy water fountains, as well as replicas of an Egyptian pyramid, the Venetian Grand Canal, and the Eiffel Tower. I’m not usually into gambling, but I would love to visit one of the grand casinos, place some bets, and perhaps even win some cash! I’d also want to top it off with a Britney residency gig for the ultimate cheesy trip! What’s on your travel wishlist for 2019? Ooh these places all look amazing. My best friend spent a year in Mexico and she loved it so much that she’s planning to go there for her honeymoon this year. I’ve actually not heard of Alicante, but it sounds lovely. I’d love to visit Greece, it looks so beautiful. I am hoping to do something for my 30th this year and I’m also planning trips to Ireland, Estonia and Finland. It looks like you have some fab places booked! Las Vegas is on my wishlist too as well as Australia! Oh and I really want to see the Northern lights sometime! What a great wish list. Impressed you already have some trips booked. I think as a student and as a young person it is important to visit the world. Visiting different parts of the world help us learn more about different cultures and what other people in these areas have to offer. Education sometimes can make school boring with loads of essay assignments to be completed within a very short deadline. At times, the assignments are just hard to crack and you do not know which way to take. But, touring the world is it. Professorsportal.com relieves us from the monotonous school life. We don’t have to worry anymore as there are many guidelines that are offered by expert writers at Professorsportal.com. YOLO for Smart People: We live in the moment, worry less about life after college. We only get four years – carpe diem.